Windows 7 will be hitting store shelves on Thursday, and retailers are getting ready by offering some hot computer deals. If you're thinking of ditching your current machine instead of upgrading to the new operating system, check out these great prices I found online. Dell's Inspiron 15 series has a base model starting at $500 including Windows 7 Home Premium 64-bit and a 15.6-inch display. The Inspiron 15 rocks a 2.0 GHz Intel Pentium Dual Core Processor, 3GB DDR2 memory, 320GB hard drive, 802.11g Wi-Fi, Intel Graphics Media Accelerator X4500HD and a 15-month subscription to McAfee Security Center. On the downside, the base model does not come with an integrated Webcam, but you can add a 1.3 megapixel camera for an extra $25. The 15.6-inch display looks like the popular laptop size for retail deals. Amazon is offering Acer's AS5517 for $450 with Windows 7 Home Premium (bit version not specified) and 15.6-Inch HD Widescreen Acer CineCrystal LED-backlit Display. 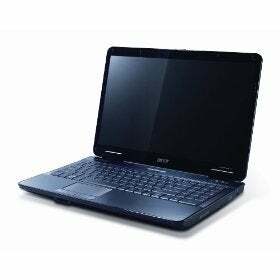 Acer is packing an AMD Athlon Dual Core TK-42 Processor, 3GB DDR2 memory, 250GB hard drive, 802.11b/g Wi-Fi and an ATI Radeon HD 3200 graphics card. But the best deal might be CompUSA's MSI 15.6-inch notebook for $400. 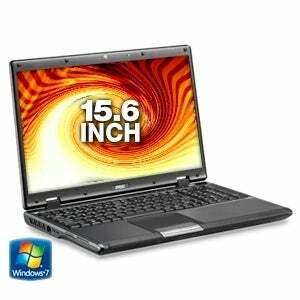 This notebook has a 1.86GHz processor, 3GB DDR2 memory, 250GB hard drive, 802.11n WI-Fi, NVIDIA GeForce 8200M graphics card and HDMI output. 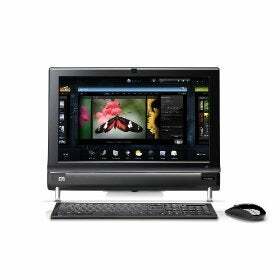 The MSI's 15.6-inch display features 1366 x 768 resolution so it's ready for 720p hi-def video. If you're already happy with your monitor, Tiger Direct has an eMachine for $400 with Windows 7 Home Premium 64-bit, a 1.6 GHz Intel Celeron Processor, 3GB DDR2 memory, NVIDIA GeForce 7050 integrated graphics and a 320GB hard drive. The eMachine's processor leaves something to be desired, so you might prefer Dell's $500 package deal that includes an Inspiron 537s and an 18.5-inch HD monitor with 16:9 aspect ratio. 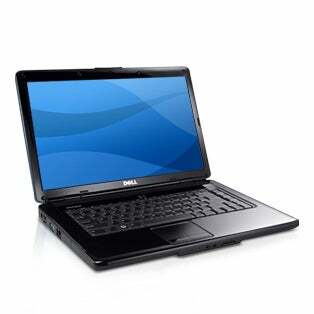 The Inspiron 537s comes with Windows 7 Home Premium 64-bit, Intel Pentium dual-core E5300 processor, 3GB DDR2 memory, 320GB hard drive and an Intel GMA x4500 graphics card. If you're looking for a good deal on an all-in-one, Amazon is selling the Asus Eee Top for $600 with a 20-inch LCD 16:9 aspect ratio display. 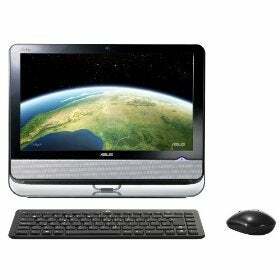 The Eee Top comes with Windows Home Premium 32-bit, a 1.6GHz Intel Atom processor, 2GB DDR2 memory and a wireless keyboard and mouse. One of Windows 7's newest features is its multitouch capabilities; if that interests you, then you might want to check out Amazon's current offer on an HP TouchSmart. 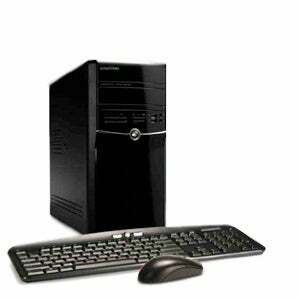 For $1,150, you can get the TouchSmart 600 with a 23-inch 1080p display, 2.1 GHz Intel Core 2 Duo processor, 4GB DDR3 memory, 750GB hard drive, NVIDIA GeForce G200 graphics card and Windows 7 Home Premium 64-bit. The price tag is a little higher than my other featured desktops, but if you're looking for a desktop with touch capabilities, then HP's TouchSmart Amazon's might be the computer for you. So there you have it: six great deals (plus one) on systems that combine respectable specs at a great price. Did you find any better deals out there? Let us know in the comments section.